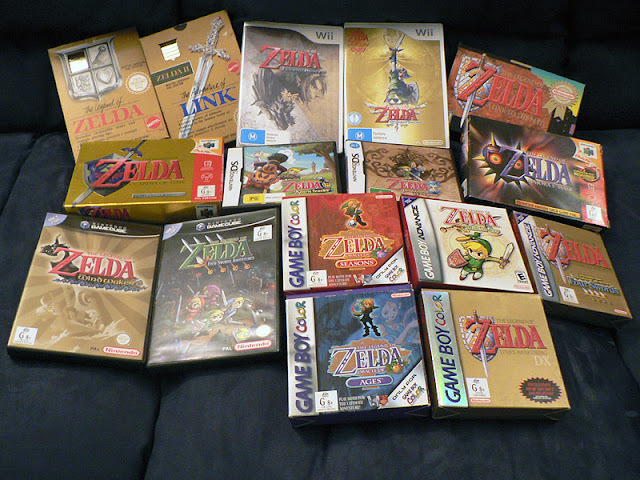 This is the latest "update" on my Legend of Zelda Collection. Yeah, I know A Link To The Past is in there twice, but the GBA version is there for Four Swords. Loving Skyward Sword. It's epic! The scale seems so much bigger than any of the previous games! And the art style is beautiful. While I swear sometimes I'm just talking to myself on this blog, the counter suggests otherwise. Thanks for visiting! ^_^ New episode should be up in a day or two.